The United States Powerball is one of the biggest lotteries on the planet and it is quite easy to understand why. Every single person has had the fantasy of actually winning a lottery, the fancy houses, the expensive yachts, private jets or maybe even simple pleasures such as having the perfect pizza delivered to your house every day. Every €3.50 spent when you play Powerball gives you a fantasy even if it is only for a few minutes. The largest Powerball jackpot to date was the accumulated prize of $1.56 BILLION which got millions of players to buy tickets in January 2016. The Powerball dates back to 1978 when the lottery was known as Lotto America which was later changed to its present name in 1992. 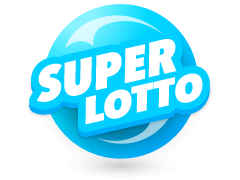 Playing the lottery is rather simple and all you have to do is purchase a ticket either through verified vendors physically or online through Multilotto.net. As mentioned above, having a crack at the US Powerball is pretty easy and you can play with a few simple steps. The first thing you will need to do is figure out how you will buy your Powerball ticket. 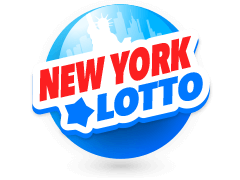 If you are a US citizen, you can do so through the official vendors as well as through the official website of the lottery. If you are not a national, you can still catch the action at Multilotto which is an online lottery concierge service that allows players from across the globe to access lotteries that they would otherwise not be able to play due to geographical constraints as well as the terms of the lottery. To win, all you need to is pick five random numbers and a Powerball number. If all your numbers match with the numbers in the draw then you will have won the jackpot. The selection is very random and you will either need a time machine or a whole load of luck to win. You can also employ some strategies such as purchasing more lines or tickets to increase your chances of winning. In the past, lotteries, especially the US Powerball, have seen their jackpots go unclaimed and the main reason could be lost or misplaced winning tickets. Playing at Multilotto gives you the peace of mind of not having to file your tickets (if you like to organise your things), or having a certain container or box where you keep your tickets. 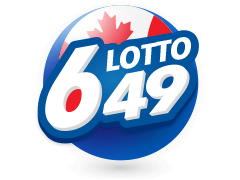 You will also not have to go through every single one of your tickets during every draw held by the lottery. When you play Powerball at Multilotto, all your tickets are kept for you. Since Multilotto has all your tickets, we will also check and inform you whether you are a winner so you don't have to worry about your prize going unclaimed. You also don't have to worry about damaged tickets due to storage. Now all you have to do is play away and leave all the other things, such as storing your ticket, to Multilotto. Head over to the official website now, sign up and start buying your Powerball lottery tickets and you might be the next jackpot winner. There is nothing more annoying than going to a kiosk to buy a ticket on a hot summer's day then find a long line going all the way around the shop a couple times. The time you take to reach the vendor and buy the ticket is better spent enjoying a cold lemonade in the comfort of your couch or porch. Multilotto gives you the convenience of a hassle-free Powerball lottery experience. You neither have to commute to the nearest vendor to get your ticket and you can save that gas money or even use it to buy more tickets. 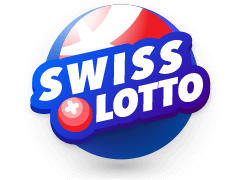 What's more, Multilotto allows you to participate in the lottery even if you do not reside in one of the states in the US that participate in the lottery. 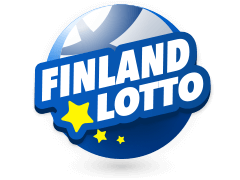 As long as you do not reside in the countries that have been restricted by Multilotto due to a few reasons here and there, you can purchase Powerball tickets in the comfort of your couch with a few clicks and taps. This is actually the main reason that people even consider playing the lottery. You actually stand a chance to win! Players have the chance to actualise their wildest dream by winning the lottery. Multilotto increases your chances of winning and although the odds are pretty high, you can lower them with a few features that the website has. Some of the tools available at the website include the ability to set up lottery groups. These groups are also referred to as syndicates and they increase your chances of winning since the members of the group agree to split the pot if one of them wins. Multilotto works on a number of strategies that ensures a win for your group. For example, the hot and cold Powerball lottery numbers are established and the hot numbers are distributed into the predefined ticket numbers. Apart from that, you can set up your account to buy a certain number of tickets daily, weekly, and even monthly by paying a certain amount of money for the tickets. There is a discount available if you make the payment yearly. How much does it cost to play Powerball at Multilotto? 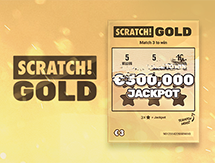 A single draw at Multilotto costs €3.50 but you will have to play again on the next draw if you would like to keep playing every week. 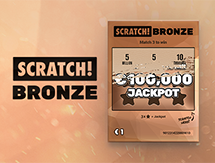 You are not limited to the number of lines you can play with a single draw and you can even play 5 lines which will bring your total to €17.50. You also have the option of selecting up to 4 draws beforehand which means that you won't have to play again for another two weeks and this will bring your total to €70. 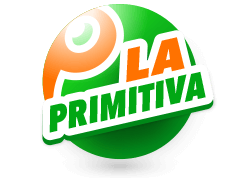 Players can also choose a recurring subscription of up to 12 months which totals €126.00/month and is only payable via credit card. As mentioned above, playing the Powerball is rather easy. It is a two drum lottery which means that there are two sets of numbers that you will have to pick. The first drum has 69 numbers ranging from 1 to 69 and the second drum has 26 numbers ranging from 1 to 26. 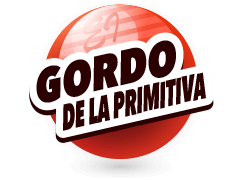 Once you purchase your ticket, you are required to pick five numbers from the first drum which has white balls and one number from the second drum which has red balls and this is also referred to as the Powerball or the Powerball number. Once you have selected the numbers, wait for the draw and see if you are a winner. Do the numbers have to be in the right order to win? No. The numbers you pick from the first drum of the lottery do not have to be in the right order so as to win. The order does not affect your chances of winning. The Powerball number, however, has to be the exact number that is drawn. This is because it is the number that determines whether you have won the jackpot or not. For example, if you pick the numbers 12, 4, 52, 43 and 25 from the first drum and 5 as the Powerball number, if the numbers drawn are 43, 12, 25, 4, 52 and (5) then that means that you are a winner. Are there any other prizes apart from the jackpot? All you have to do to become a winner in the Powerball is getting one number correct. That is the red ball. This is because the Powerball number doubles your investment by awarding you a €3.26 prize. Matching one white ball and the red ball also awards you a €3.26 prize. 2 Correct White Balls and the Powerball will give €5.70 and so will matching 3 white balls but no red ball. 3 correct white balls and the red ball and 4 correct white balls but no red ball will win you €81.46. 4 correct white balls and the red ball will win you €40 729.88 and match all five white balls but not the Powerball will win you a cash prize of €814 597.59. There are several ways of knowing if you have won any prize with the US Powerball lottery. The first way you can get this information is by watching the bi-weekly draws that are held by the lottery. These draws occur at 10:12 PM Central US Time every Wednesday and Saturday night (Thursday and Sunday Morning for Europeans). If you miss the draw, you can check the results on the Multilotto website. 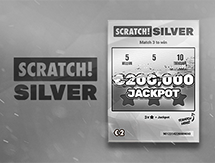 However, you will receive a notification if you are playing online at Multilotto when you manage to bag yourself a win. 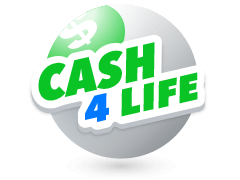 The funds won will be transferred to your account and you can make a withdrawal any time you please. Since there are a number of ways you can walk away with a win when you play the Powerball, there are also a number of odds that accompany the game. Simply walking away with a win has the odds of 1 in 24.87. You have a 1 in 292,201,338 chance of winning the jackpot, which, if you look at it is quite possible. 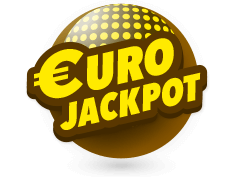 You have a 1 in 11,688,053.52 chance of getting your hands on the €814 597.59 prize and a 1 in 913,129.18 chance to claim the Jackpot prize. The odds might seem to be pretty steep but you might just be that one lucky player in 200 million. Multilotto is one of the most versatile websites in the online gambling world since it can be said to be a two-in-one, website. 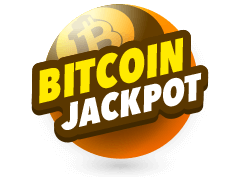 On one hand, you have the option to play online casino games such as slots and table games and on the other hand, you have the option to play some of the biggest lotteries in the world such as the Powerball lottery. 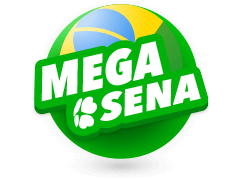 The site gives players from across the globe the chance of accessing the Powerball even though they are not residents of the states that the lottery is held. All you have to do is sign up and purchase a ticket. You can play Powerball without having to worry about checking every single draw to see if you are a winner. You also don't have to watch the draws as they occur since the website is updated with the results immediately they are drawn. When it comes to your wins, Multilotto collects it on your behalf and you are notified once the funds are transferred to your account and you can go ahead and withdraw using one of their payment methods. Still, on the subject of the payment methods offered, there are a variety of ways you can make both deposits and withdrawals without a hassle. 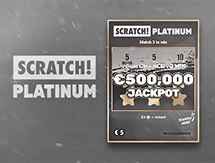 Since Multilotto website is licensed and regulated by Malta, the fairness of the gameplay offered as well as your safety at the website should be the last thing on your mind. This is because the website is secured by state of the art encryption systems that will prevent any third parties from gaining access to your private information as well as your banking information. What's more, there are industry standard firewalls that have been set up on the servers to protect all of your information. 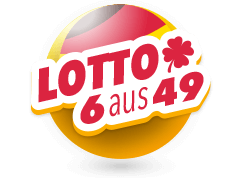 There is also a variety of lotto's you have access to at the website apart from the Powerball such as Eurojackpot, Mega Millions, SuperEnaLotto, La Primitiva,New York Lotto and Euromillions.